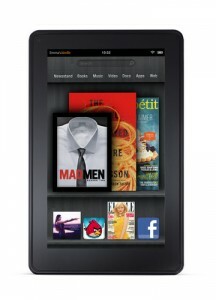 With its’ November 16 release, the Kindle Fire was expected to be a serious competitor to Apples tablet. 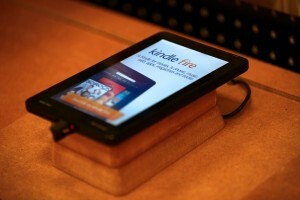 Instead, Kindle Fire consumers are boxing up and shipping their devices back to Amazon. Some of the most frequently brought up issues are that there is no external volume control. You have to manage your volume from the devices touch screen. The on and off switch is easily hit which can turn the device on in a bag and run the battery dry. Another problem is the seven inch screen the pages that load on it need to be scaled differently and that makes them load slower. In addition, full web-pages are hardly compatible with the device and take an eternity to load. According to the New York Times, all the bad reviews on Amazon were confirmed by Jakob Nielson, a usability expert, who said, “It offered a disappointingly poor experience. For users whose fingers are not as slender as toothpicks.” He also gave a warning to possible consumers saying that the screen could be particularly frustrating to manipulate. The Kindle Fire has been out for less than a month and people like Andrew Rassweiler, a senior director at Teardown services, are saying that the new Kindle is a useless device unless you plan on loading it with lots and lots of books. But the Kindle Fire is trying to do much more than simply be an e-book reader, a feature that some consumers are saying it does worse than the original, according to an article by The New York Times. However, with all these negative reviews and comments about the Kindle Fire, Amazon refuses to chalk it up as a failed product. They are releasing an update that should fix some of the bugs user’s were complaining about in their reviews. Amazon still has high hopes of dominating the market with their Kindle Fire, but it doesn’t need an update to fix a lot of the issues. Many of the complaints from consumers is about a lack of external features or just under-rated technology running the Kindle Fire. Amazon has tried to better their market and sales by allowing their product to be sold in stores like Best Buy and Wal-Mart. The issue they seem to be having with the store sales is that Amazon is losing about 20 dollars on every Kindle Fire sold in stores. Amazon though doesn’t mind the loss. They may lose 20 dollars on every purchase of their product but once the device is powered up and in the consumers hand Amazon really starts making their money. The only problem with that money making process is the Kindle Fire reaches the consumers hands , then gets sent back to Amazon for being a buggy B-rated product when compared to Apple’s iPad2. The one area where Amazon did right by their customers is the price. Instead of shelling out 500 bucks for a fresh new iPad they spend 200 dollars for a tablet that might get fixed. Essentially if what all the experts like Nielsen and Rassweiler are saying is true, consumers would be better off buying a device that has been proven reliable and dependable like the iPad, or just stick with the original Kindle. The Kindle Fire is Amazon’s first try at a tablet and should be noted as such but just because it is cheaper doesn’t mean that it is worth the 200 you would be spending for it. The Kindle Fire is an overpriced Kindle that is a down grade from the original Kindle device that is worse at showing e-books than its predecessor. If in the market for a new tablet consumers would be better off if they either went with an Apple device or just wait and hope that Amazons next shot at the tablet will be an upgrade from their current failure.